Taken out of the car window. 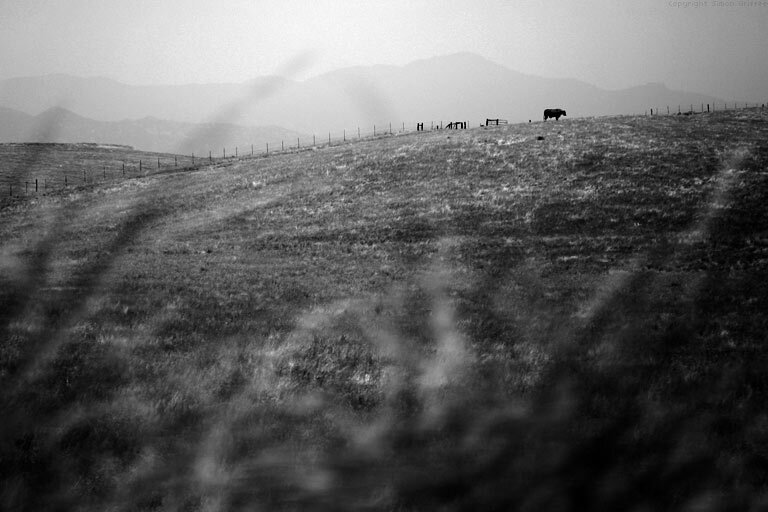 It was very hot and the landscape near Bakersfield had a strange feel to it. I passed through the same area sometime later (Oil Field at Night. ).